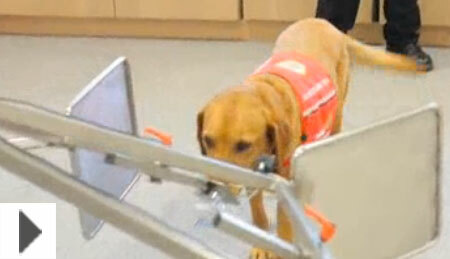 Medical Detection Dogs has been given the go-ahead for the first ever canine breast cancer detection trial. The team spent eighteen months preparing an application to the Buckinghamshire Healthcare NHS Trust ethics committee for permission to begin the trial that will use breath samples collected from volunteers in Buckinghamshire. Although it has not been determined categorically what it is the dogs detect, it is thought that volatile substances emitted by cancerous cells are present in cancer patients and give off an odour perceptible to dogs. Dr Claire Guest BSc(Hons) MSc. HonDSc., founder and CEO of Medical Detection Dogs, who will be Principal Investigator of the trial, in charge of its day-to-day running, hopes to find volatiles also present in breath samples collected from breast cancer patients. Latest figures from Cancer Research UK show over 50,000 people are diagnosed with breast cancer each year in the UK and just under 12,000 die. Dr Guest, who was alerted to her own breast cancer by her dog, added, “Under current procedures for detecting breast cancer, many women have to wait until they are fifty years old before they are invited in for their first mammogram. As someone who has had breast cancer at significantly younger than fifty, I am painfully aware that would have been too long for me to wait before being scanned for cancer for the first time. “After fifty, women are invited to have another mammogram every three years. This means a woman could have breast cancer for two years without ever finding out, by which point the tumour could be well established. The problem is, it is not good for women to be scanned more regularly than that because of the exposure to radiation. In an additional study in 2006, McCulloch et al. also tested the dogs’ ability to distinguish exhaled breath samples of 31 breast cancer patients from those of the 83 healthy controls. 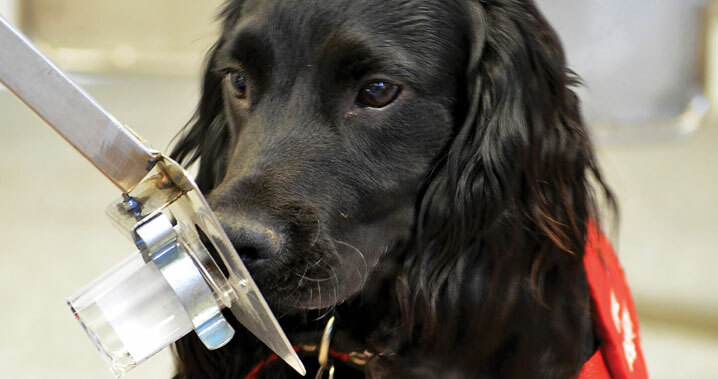 Dog handlers and experimental observers were blinded to the identity of breath samples, obtained from subjects not previously encountered by the dogs during the training period. Among breast cancer patients and controls, sensitivity was 0.88 and specificity 0.98. However there were some limitations in the design of this study and number of subjects included and further work is needed with peer-reviewed publication to support this finding. 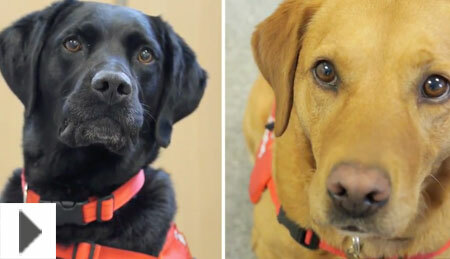 “These samples are from participants who are completely unknown to the dogs. Once completed we will begin double-blind testing. A double-blind test is a control group test where neither the evaluator nor the subject knows which items are controls. All samples will be provided by patients who attend Bucks NHS Clinics and whilst we have secured some funding for this study we urgently need to raise further funds to enable us to complete a trial that could lead to a major breakthrough in the detection of human breast cancer in the future.